Given the huge splash she made with her 2000 debut novel, White Teeth, biracial Brit author Zadie Smith became an instant literary star at the tender age of 25. With each successive effort, Smith has been measured against her past accomplishments and has largely continued to excel. She's on her fourth novel now in NW, a dense tale of young adults growing up in multiracial, working-class London. 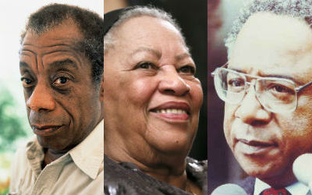 Recently, Smith offered The Root a list of her favorite books by black authors who helped shape her writerly world.